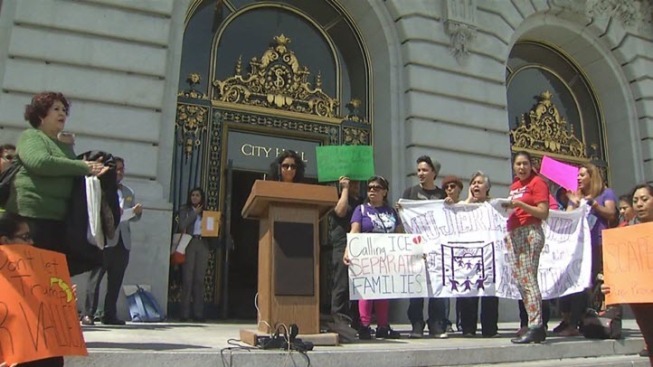 San Francisco city leaders are taking steps to strengthen their sanctuary city law. The city came under fire last year after a man wanted for deportation was released from the San Francisco County jail only to be arrested for the killing of a tourist on Pier 14. But city leaders said they are not about to remove their sanctuary city protections. San Francisco County supervisors on Thursday promised to toughen the city's sanctuary city law. "We want to prevent law enforcement to be in the deportation business that undermines everyone's confidence in local law enforcement," Supervisor John Avalos said. Avalos has authored legislation that would ban police and sheriff's deputies from contacting immigration officials about undocumented immigrants unless they've committed a violent felony within the past seven years. "Our public safety is founded on a clear separation between local law enforcement and immigration enforcement," Avalos said. Sheriff Vicky Hennessey told supervisors on Thursday she is not comfortable with such strict rules when it comes to contacting ICE. "A blanket policy of no notification is not consistent with my responsibility to provide public safety," she said. But despite the sheriff's concerns, supervisors on the public safety committee approved the proposal Thursday afternoon. The full board will vote on the proposal in two weeks.